A new book dedicated to New Zealand’s war memorials has been published with the support of Manatū Taonga, Ministry for Culture and Heritage. To the Memory: New Zealand’s War Memorials by Dr Jock Phillips tells the fascinating story of the people involved in erecting more than 1,000 memorials throughout New Zealand, and their reasons why. 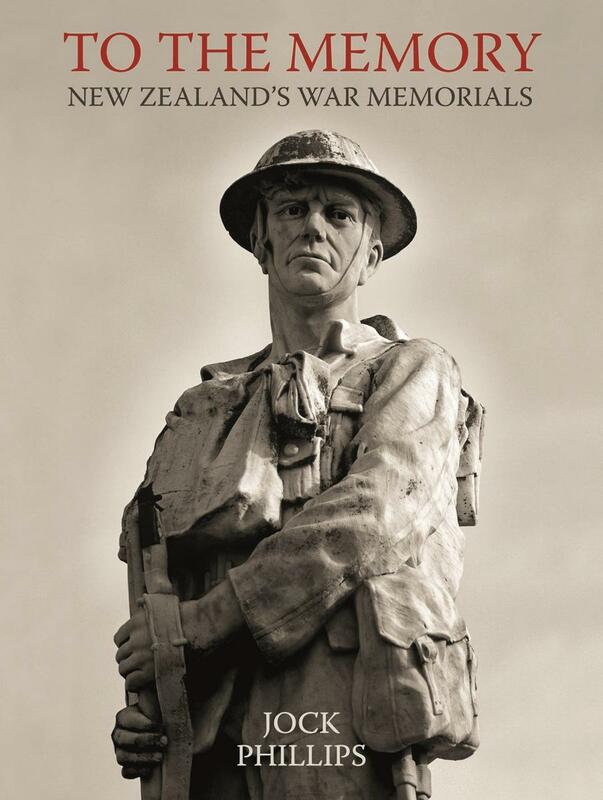 Image of book cover 'To the Memory : New Zealand's War Memorials'. “It’s very exciting to bring this project to fruition,” says Dr Phillips. Information and source material was provided by a number of volunteers from throughout the country, who added new material to the Memorials Register established on the Ministry’s New Zealand History website (nzhistory.net.nz/culture/the-memorials-register). Additionally, a number of staff from the Ministry’s Research and Publishing Group provided advice and support, including Neill Atkinson, Imelda Bargas, David Green, Jamie Mackay, Gavin McLean, Tim Shoebridge and Monty Soutar. Dr Phillips’ new book follows on from an initial publication, The Sorrow and the Pride, published in April 1990 to coincide with the 75th anniversary of the Gallipoli landings. However, Dr Phillips says, at that time there was little public interest in war memorials and what they represented. “This was a particularly interesting anomaly, given that the commissions of war memorials were arguably the largest act of artistic patronage New Zealand society has ever indulged in,” he says. Dr Phillips says the timing of the new book reflects a change in social and intellectual attitudes in New Zealand with regards to how we commemorate conflict. To the Memory: New Zealand’s War Memorials, with more than 200 photographs, is published by Potton & Burton. Dr Jock Phillips is a leading New Zealand historian. He was formerly Chief Historian and then General Editor of Te Ara, the online Encyclopedia of New Zealand. In 2013, he was made an Officer of the New Zealand Order of Merit, and the following year, received the Prime Minister’s award for non-fiction writing. In 2015, he received an honorary doctorate from Victoria University of Wellington in recognition of his outstanding contribution to New Zealand history and culture.